Could you please introduce your organisation shortly? Community Energy Scotland (CES) is a registered charity that provides practical help for communities developing renewable energy projects and energy efficiency initiatives. Furthermore, CES is a membership-based organisation. Members can share knowledge and connect to other member groups who are developing, or who have already established community energy projects. Make CES as sustainable and effective as possible. What is the involvement of your organisation within energy topics? CES is principally involved in the energy sector as an avenue to support communities, and as a means to source revenue and assist in empowering these groups. CES is in a position to provide independent support to communities on multiple aspects of energy project development. This includes developing project inception; providing technical and operational experience; providing a link to policy makers; highlighting at local, regional and national levels the issues and difficulties faced by communities; connecting projects to funding sources; connecting relevant communities together in order to learn from each other’s energy project experiences; and also community capacity building. What was the motivation lying behind for the SMILE project at your organisation? Principally for SMILE, the local CES team are driven by the exciting opportunity presented from this SMILE project and the benefits it could bring to the local communities, but also across other similar regions once the equipment is proven to work effectively. The direct benefits that the SMILE architecture can bring is a potential ease of curtailment of the local communities owned and operated wind turbines. 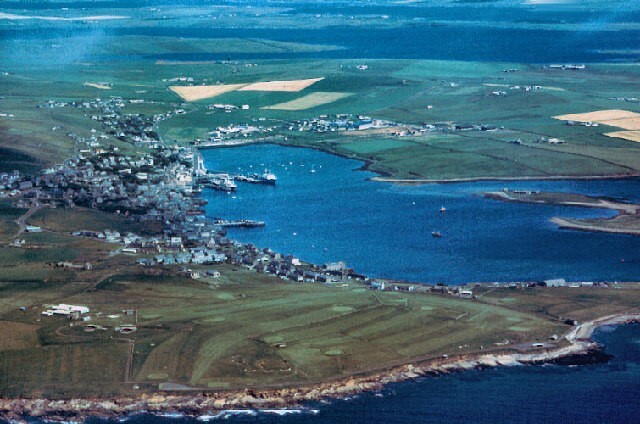 The residents of Orkney are very engaged with all aspects of renewable energy generation and take issue with underutilised wind turbines that could both be lowering the local carbon footprint while also generating literally life changing revenue for local services and amenities; it is this drive from the local population and community groups that also motivates the work the local SMILE team are doing. CES’ immediate aim is to prove that the technologies operate effectively as designed within the project scope, while also proving the business model is sound. By extension, this will allow CES to work towards expanding the system to incorporate further properties and curtailed wind turbines after the SMILE project is complete. By incorporating large numbers of heating systems and EV chargers across Orkney, as well as all turbines across the smart grid would allow seamless grid-smart response to curtailment events, with the additional benefit of significantly impacting the carbon footprint of Orkney heating and transport. The distant goal for CES is to prove that the SMILE infrastructure has the capacity to be rolled out to other national and international regions that either experience similar levels of grid constraints, or have another reason to promote the self-consumption of renewables within a local area. What is your role within the SMILE project? Principally, CES are coordinators for the Orkney demonstrator project and are responsible for the overall management and delivery of the project. As part of this role CES have helped shape the overall integrated architecture; coordinate input from the other partners for this deliverable throughout the length of the project; engage with local residents that are applicable for inclusion within the project; procure suitably qualified contractors to conducted the installation of project equipment; and manage data collection and the relationship with participants. Furthermore, CES is also helping to: support activities feeding into technical models and analysis related to grid-smart technologies; socioeconomic studies and financial mechanisms for incentivising participation in to such operations; and helping to understand legal, regulatory and standardisation issues relevant to the use of these technologies. Was the project running smoothly so far? What was the biggest obstacle up to now? What were the most important developments in Orkney within SMILE project? The installation and operation of the heating systems and EV chargers will bring significant learning for future replication. Once the technological and business model feasibility can be proven to be sound and appropriate, then the infrastructure can be spread further to incorporate more curtailed turbines and more participating properties. The potential impact to both turbine operators and home owners is significant. However, currently the work is and has been focused on the recruitment and processing of participating homeowners. CES’ efforts on this front has resulted in over 110 homeowners registering for the project, with approximately half of these in line to receive project equipment in the coming months. Further to this, CES has begun to collect data on the patterns of energy use and the heating patterns seen within these properties. This is being achieved through the procurement and deployment of energy monitors and temperature loggers. The aim of this activity being to provide an evidence base for proving the impact of SMILE grid-smart technologies on a per-household basis. CES wants to prove that heating in Orkney can be made intelligent at the benefit of all parties involved. Proving this capacity of SMILE will potentially see the expansion of the infrastructure, which itself would have further expansive benefits for more communities within Orkney. How is your experience of working with the other partners of the SMILE consortium? Working with the project partners within the Orkney demonstrator projects has been progressing at different rates; where some partners have commercially ready products, while others have required more time to meet the requirements of SMILE’s scope. Correspondence has been simple in most parts with partners experiencing open dialogue discussing the multitudes of issues that have arisen in the development of the project installations. The principle hurdle is it can be difficult for partners from outside Orkney to appreciate the particular challenges experienced in Orkney. As such, the local team are conscious of this, and will take it into account when designing the architecture and installation process. Are there other ongoing similar projects in Orkney, or do you have any plans for new, similar projects? The Heat Smart Orkney project is the active predecessor to the local SMILE demonstrator. The scopes of the two projects run in parallel with similar goals and differing methodology. The Heat Smart Orkney project was a mechanism to install new secondary resistive heating equipment into participating properties which would then respond to curtailment events. When such events occurred the equipment would be instructed to turn on in order to apply additional electrical load to the grid, allowing otherwise curtailed wind turbines to continue generating for longer. Due to the ability for the wind turbine operators to receive additional revenue through these extended operating times, a financial contribution agreement was made with the turbine operator to compensate the properties that are having this new electrical load applied that would often be a more expensive source of heat compared to their existing heating system. This operating system went live in Orkney mid-2018 and has already proven its capacity to respond to curtailment events and impact on levels of constrained generation period on the participating community turbine. 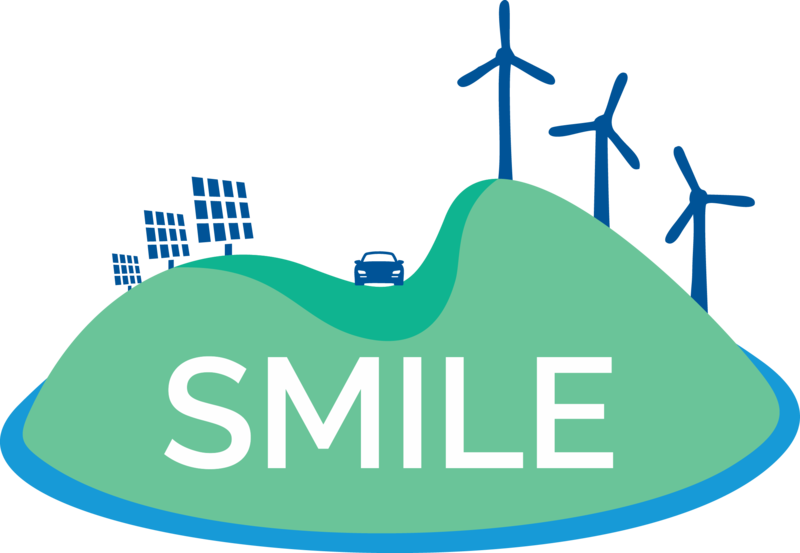 The SMILE demonstrator project will operate on the same operating system, but without a financial compensation mechanism, expanding further upon control mechanisms capacity to provide sufficient real-time loads in order to allow the 900kW community-owned and operated wind turbine to run for significantly longer.